There are several aspects of international flying that I miss when I travel domestic. 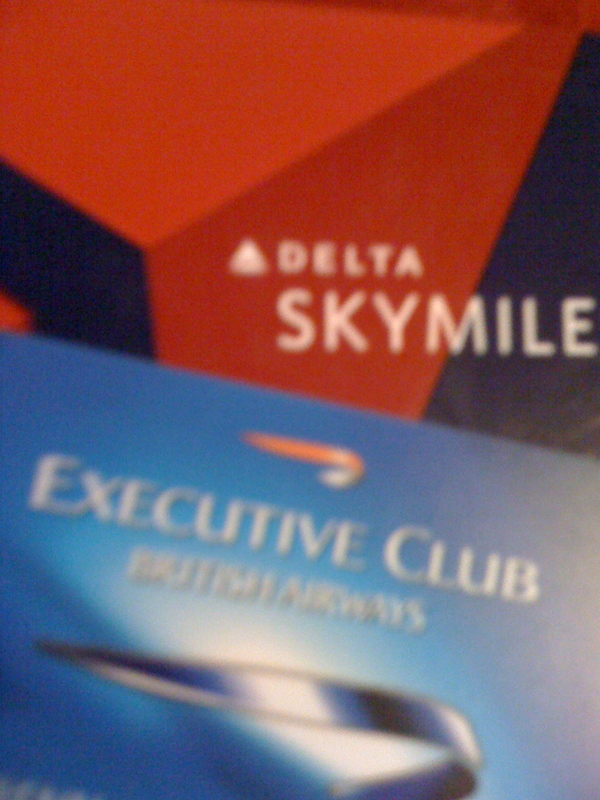 I long for the free alcoholic beverages you get on overseas flights; the big planes; and the friendly flight crew. Of course, you get cranky crews on international flights, too. But I’ve never heard of brawling flight attendants on overseas airlines, like the fist fight between two Pinnacle Airlines employees. The Rochester bound flight was cancelled as a result. A man we encountered on a Delta flight from New York to Atlanta wore a t-shirt declaring, among other things, that “homosexuality is a sin,” and “Islam is a lie.” (He turned out to be our seatmate, and was much friendlier than his hateful shirt implied). About two hours after the flight began, people around us started to notice the shirt. You could tell that a few disapproved. But by then, it was about time to land. By the time we all trudged over to baggage claim, the message on the shirt was forgotten. 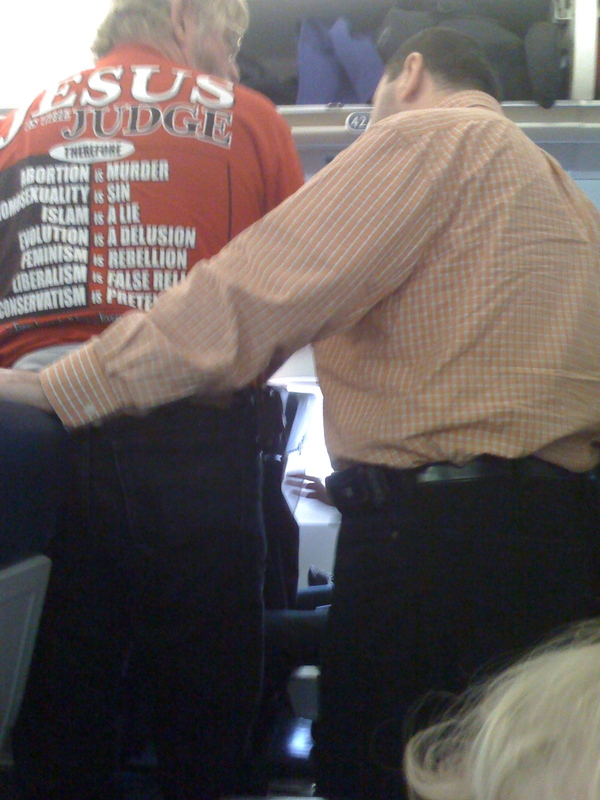 So I suppose the moral is that if you’re going to wear a t-shirt with angry slogans, save it for a short flight. I’m glad that Abbey Road studios will be intact for tourists, now that the building they’re in got *listed* status. That will protect the Beatles’ old studios from drastic changes at the hands of a new owner. 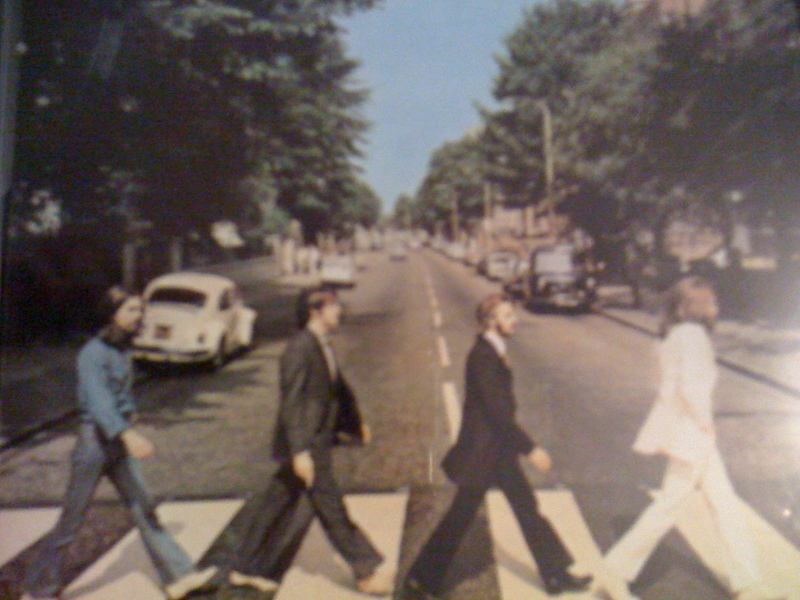 Nearly nine years ago, I lived on Abbey Road for six months, in a tiny studio with a futon. I saw a constant flow of tourists writing their names on the wall of the studio, and standing in the crosswalk, posing for photos while recreating the Beatles’ album cover pose. And even though Abbey Road is a long and busy street, I never saw a car or a taxi honk at the people posing in the street, even though the tourists invariably delayed traffic. So I’m not surprised that the Culture Minister made it harder for the studios to fall into the clutches of a real estate developer wanting to change them, or even Andrew Lloyd Webber, who was said to be interested in buying the complex. The studios are more valuable to London just as they are. What a difference a week can make. 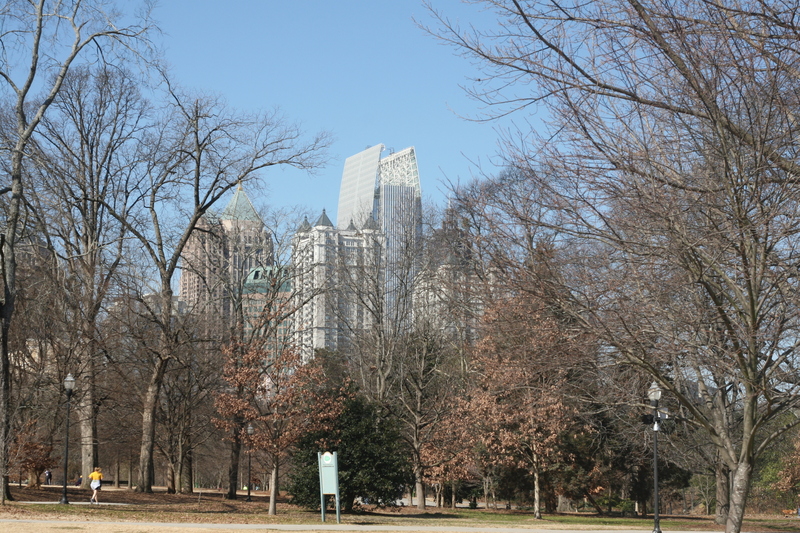 Over the weekend, we took the kids to Piedmont Park, where throngs of others were walking dogs, running, and enjoying the 60 degree plus (!) temperatures. Just a week before, in the same spot, we watched people ski (yes, ski! ), sled, and freeze in the snow. This sunshine, warmth, and good cheer of all the Piedmont Parkers this weekend more than made up for the relentless cold I’ve complained about this past winter. In fact, I don’t even mind that it’s bleak and rainy this morning (it is, after all, a Monday). I haven’t lived in many places where I have gone coatless in late February. I am impressed by the level of international uproar Tiger Woods has created with his infidelities. I can’t think of any other athlete who would generate this much interest with his extracurricular activities. CNN AND CNN International took his apology live this morning. And that was one intense mea culpa. I was impressed at the level of detail he gave about his therapy, his Buddhist background, and above all, his admission of his many affairs. But I wonder where Elin was…. Seriously, why is it so cold? 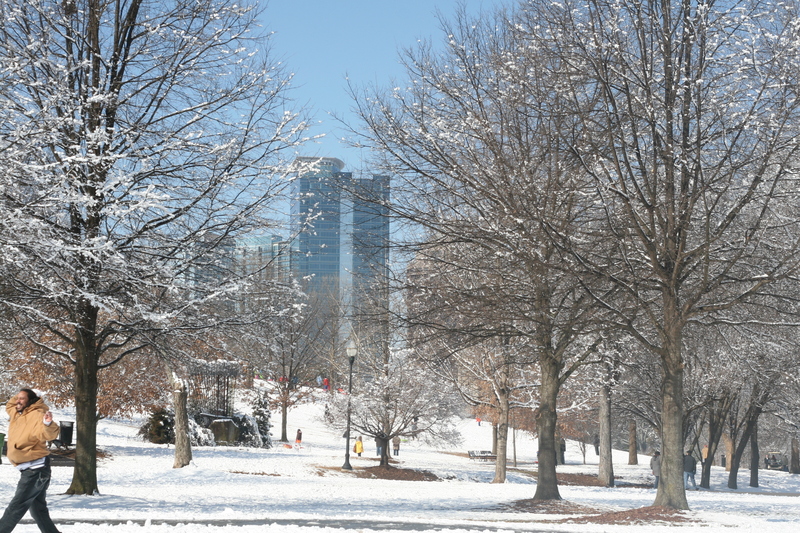 When we moved to Atlanta, we thought we were in for hot summers, a mere week of winter, and maybe a few crisp cool days in between. It was suggested to me that I might not even need a winter coat while living here. In fact, an Atlantan told me recently that during most winters, she would wear flip flops, rather than shoes and socks, because the weather was so warm. I find that hard to believe. 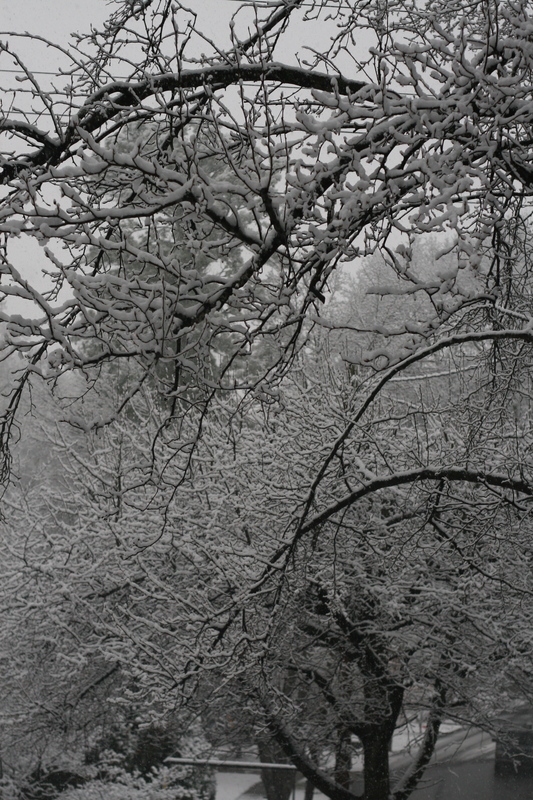 Since October, the weather here has varied between chilly and freezing. While there were rare exceptions, like the Sunday in November when we held our daughter’s birthday party outside (that wouldn’t have happened in London without a sturdy tent), it seems like the temperatures have been relentlessly cold. I have learned skills that I never thought I would master, like driving on snow and ice, and defrosting car windshields. But for the most part, I find myself in a state of mind where I never thought I would be — nostalgic for British weather. London was predictable. You might find a gray rainy sky in August, December, or April. And temperatures would probably hover between 50 to 60 degrees Fahrenheit (that’s 10-15 degrees Celsius for my European readers). Here, when it rains, it’s apocalyptic, with flood waters rising and big trees falling down. In London, it rains frequently, but it’s usually just a mist that you stop noticing after a while. People here tell me this cold weather is unusual for Atlanta. But having lived here for more than a year, I fear it’s becoming the norm. An inch of snow is forecast to fall on the Atlanta area today — maybe even as many as three — and schools aren’t taking any chances. Several of them have closed already, even before a flake has fallen. Our babysitter for tomorrow night has already thrown our dinner plans into doubt. She told us that she didn’t think she could drive to our place because she’s concerned about how safe the highway will be. Her worries are probably warranted. When it snowed heavily last month, the roads stayed icy until the temperatures rose — no road salting occurred. 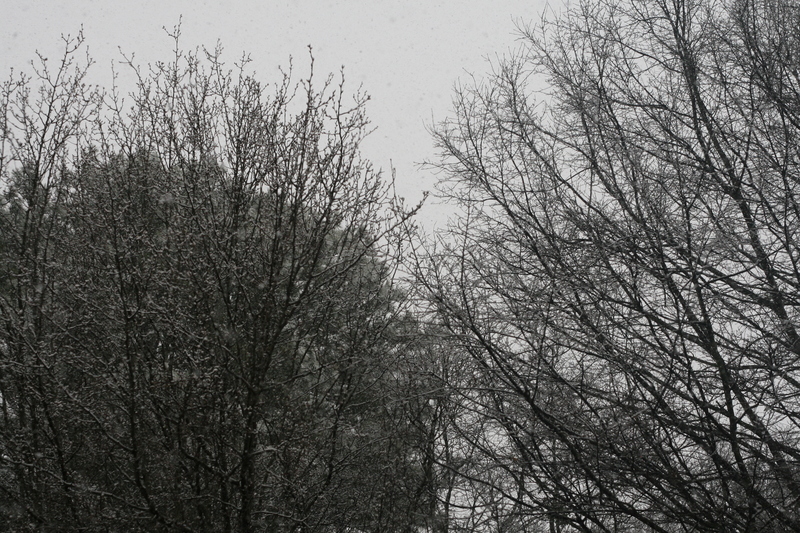 But as a veteran of upstate New York winters, I’m blown away by the snow fear factor here in Atlanta. I have never witnessed classes get cancelled because of snow, when there isn’t actually any snow — just forecasts. And those have been wrong before. One of my local coffee joints in London seems to have fallen on hard times (I can’t help but feel responsible — they seemed to be doing fine before I left the country). The one I frequented by Oxford Circus has closed. The one is this photo by Chancery Lane was closed at 6 PM on a weekday, which may not mean that it’s gone out of business. I’ve noticed that coffee shops in London keep business hours, unlike the US. Coffee seems to be a day drink, rather than an evening activity. Pubs are tough competition I suppose. And yet, Starbucks is still pulling in huge traffic. 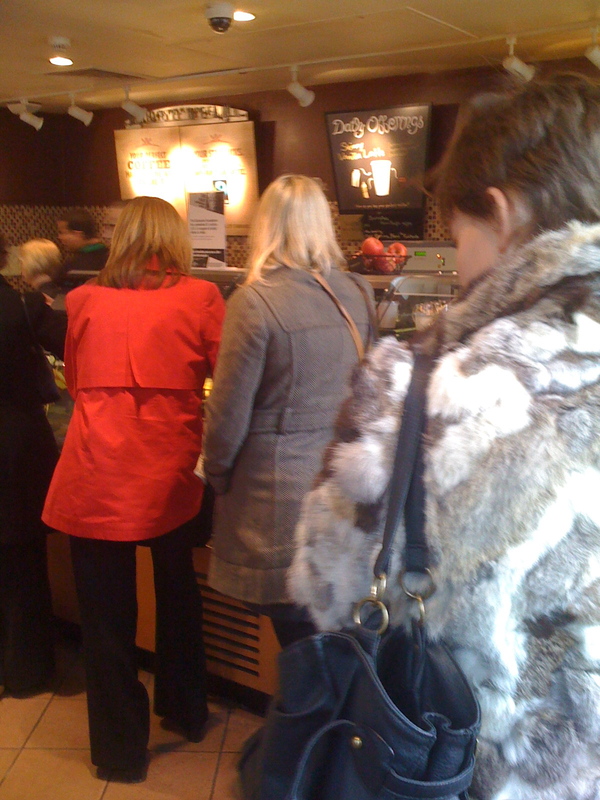 I stood in this epic line at a store by Chancery Lane at 10:30 AM on a weekday — that’s not even rush hour. And the two Starbucks stores right by Oxford Circus always seemed to be mobbed. 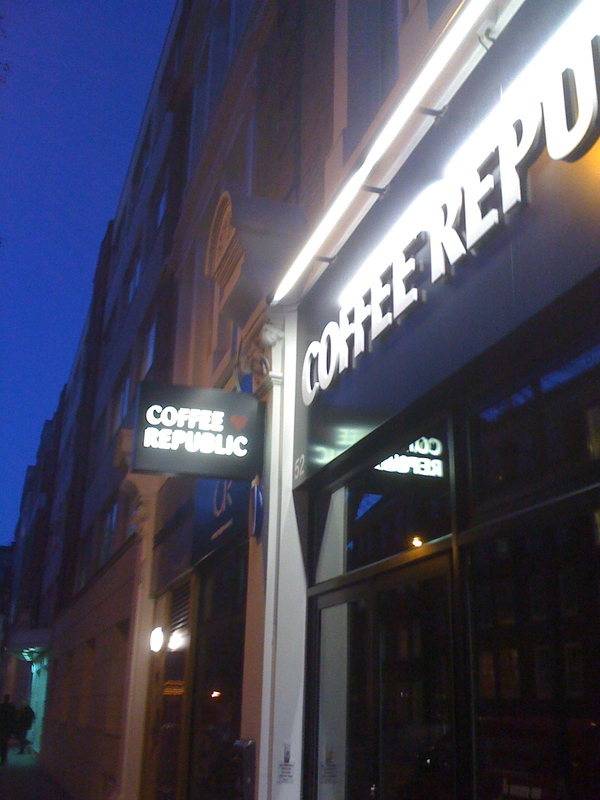 So why did my old favorite Coffee Republic close? Friends have told me that the staff from the shuttered Coffee Republic have found employment at a nearby coffee store, which I was glad to hear. Coffee Republic’s slogan, “In Coffee We Trust,” seems to be serving them well.